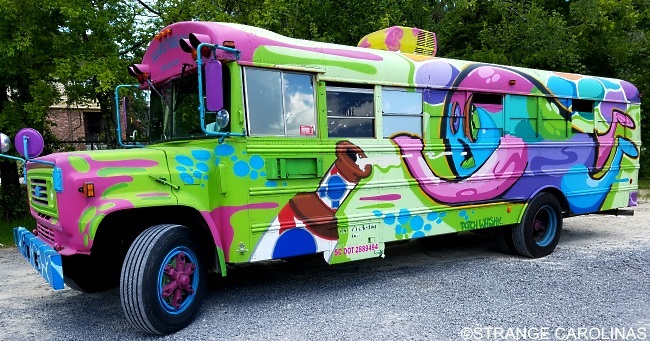 The Charleston Bus is an old school bus that you can rent to drive you around Charleston. 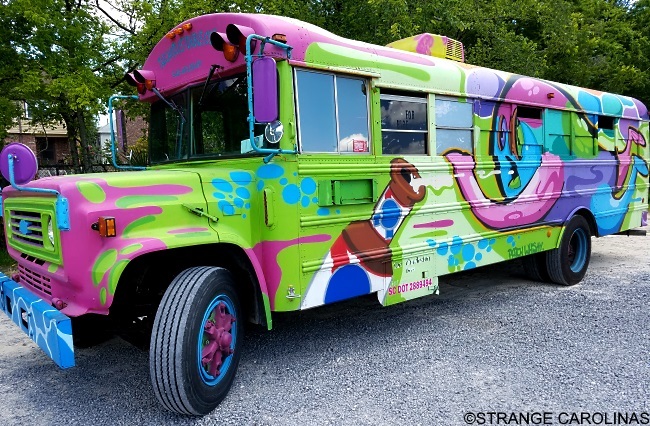 The inside has been hollowed out and instead of those uncomfortable seats you remember from your childhood, The Charleston Bus has sofas, carpet, and a funky vibe. 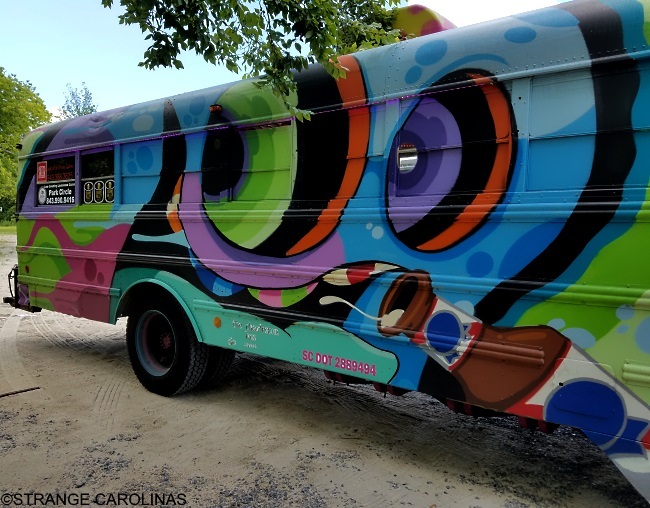 People rent The Charleston Bus to take them around town for bachelor and bachelorette parties, concerts, brewery hopping, and anywhere a large party needs to arrive in style. And its exterior also happens to be painted by Patch Whisky. 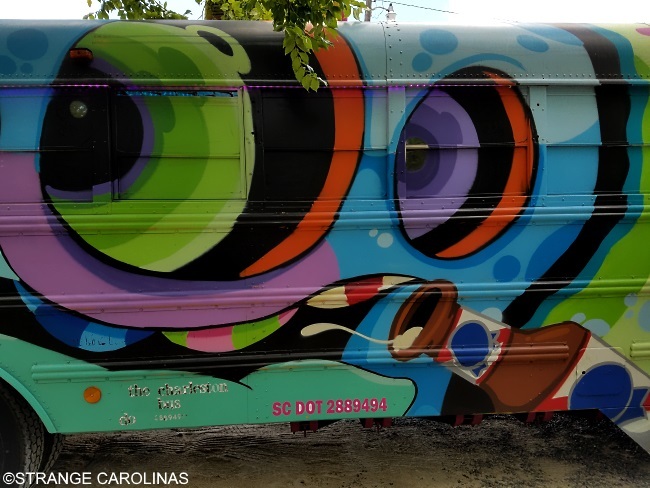 We're big fans of Patch Whisky here at Strange Carolinas, so when we heard he painted a bus in Charleston, we had to track it down. Owner Ambre Boroughs and Marvelous Marvin, the driver of The Charleston Bus, arranged it so we could take some photos of the bus while its renters were inside a brewery downtown. GPS Coordinates: There is no "location" for the bus. Sorry.